JC Younger understands the needs of cannabis and CBD chilling equipment needs. We design large industrial chilling equipment for the hemp extraction, cannabis and CBD industry. We understand the refrigeration industry and can design a chiller system based on your needs. Contact us today to speak to one of our low temp extraction chiller experts. We provide both chiller rentals and chiller sales. Contact us today to speak to us concerning your cannabis and CBD chiller needs. 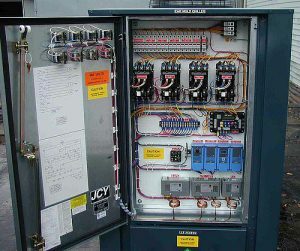 With over sixty two plus years of experience in manufacturing, and remanufacturing, chillers, the team at J.C. Younger (JCY) are making it our business to share our expertise in this area, especially when it comes to cooling in low temperatures. Earlier in the year, we also addressed the importance of quality chillers for cannabis production, and we shared the technology behind the use of industrial chillers for successful plant cultivation. The JCY team knows that the environmental effects also affect the design and type of chillers that will best suit an individual, hydroponics operation. We know what hydroponics require from chillers. We can help you understand how chillers work with your unique grow-house operation. Our team also has the experience and the knowledge to manufacture chillers for the cannabis oil extraction process. We have already been recognized for manufacturing some of the best chillers to get the temperature down to the critical setting. We know that quality control is crucial in the oil extraction process, and any fluctuation in temperature can affect the product’s worth and marketability. At our location in Saint Louis Park, Minnesota, our 40,000 square foot facility, allows us to construct industrial chillers larger than most of our competitors. Not only because we have the room for construction, but because we have the talent and the training to customize to each customer’s needs. A driving force behind the entire JCY team is the recognition from our satisfied customers. And, it’s also important to us that we know we have delivered the highest-quality chillers. Chillers that have been built with no specialized or OEM components. 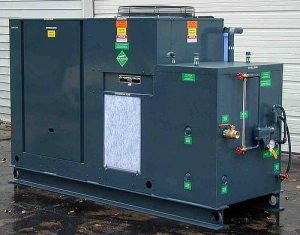 Chillers with ETL – UL 1995 listed equipment for indoor/outdoor locations. Chillers that we know will last for years. Chillers that can be fixed, most of the time, with over-the-phone troubleshooting. Chillers that chiller technicians, across the country, know how to fix if we need a little help. Chillers that we can quickly set up for short-term or long-term rent. We welcome you to learn how J.C. Younger is the chiller manufacturer for the CDC, Hemp, and Marijuana Industries. We’ve been in business for over six decades, and we have the expertise to lead the way with quality-built chillers. We’re always excited to take on any challenge, and it’s an honor to have the chance to share and show what we know. We ship anywhere in the United States, and we’re here for you.